Welcome to the magnificent Goshen neighborhood, Ridgeview Place! Ridgeview Place is accessible by taking U.S. Hwy 42 to 1793. These homes were developed in the 2000s. Homes in Ridgeview Place range from $370,000 to $600,000. 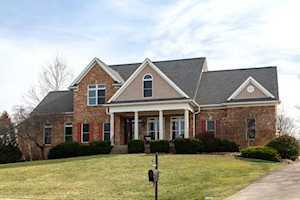 Ridgeview Place features gorgeous brick homes. There are several brick colors in Ridgeview Place such as ivory, beige, and red. Many of these homes are custom built so you will see unique looking homes. A few of the homes do have stone accent on the outside. Two-stories are the most common type of home in Ridgeview Place; however, there are a few ranches in the neighborhood. Lot sizes typically range from .5 to one acre. 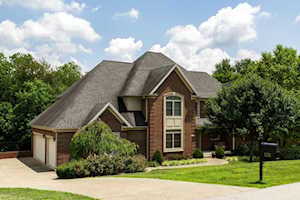 The Hollinden Team updates this search for Ridgeview Place homes on a daily basis from the Louisville MLS. 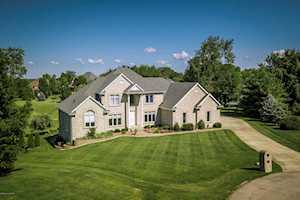 Feel free to use the Advance Search Tools of our Louisville MLS to find other houses for sale in Goshen. Click the map to the left to view each home in Ridgeview Place. There is a satellite view button in upper right. In Ridgeview Place, 2,200 to 5,300 above grade square feet is usually the space you will find in Ridgeview Place homes. Basements are in majority of homes and most are walkout basements. There are two to six full bathroom and three to six bedrooms in Ridgeview Place houses. Because of the age and price point of Ridgeview Place, modern day updates are in most of the homes. Goshen offers nearby shopping. If you need to go grocery shopping, there is a Kroger in Prospect located at 5929 Timber Ridge Drive. The closest Walmart is in La Grange and Crestwood. If you are looking for an actual shopping center or mall, there are The Paddock Shops, Mall Saint Matthews, Westport Village, Oxmoor Mall, and various other boutique and locally owned stores not too far away in Louisville. Ridgeview Place is in the Oldham County School District. The following schools are the home schools for Ridgeview Place: Harmony Elementary, North Oldham Middle School, and North Oldham High School. Harmony Elementary and North Oldham High School are two of the four schools of distinction. North Oldham Middle School is one of the four highest-performing schools in the district. If you would like to learn more or have any questions about any of these Ridgeview Place houses for sale, or others in the zip code 40026, just click the "Request More Information" button on any property detail page. The Hollinden Team can provide you with past sale information, comparables, disclosures, PVA assessment, and tax information – we would love to answer any real estate questions you have.